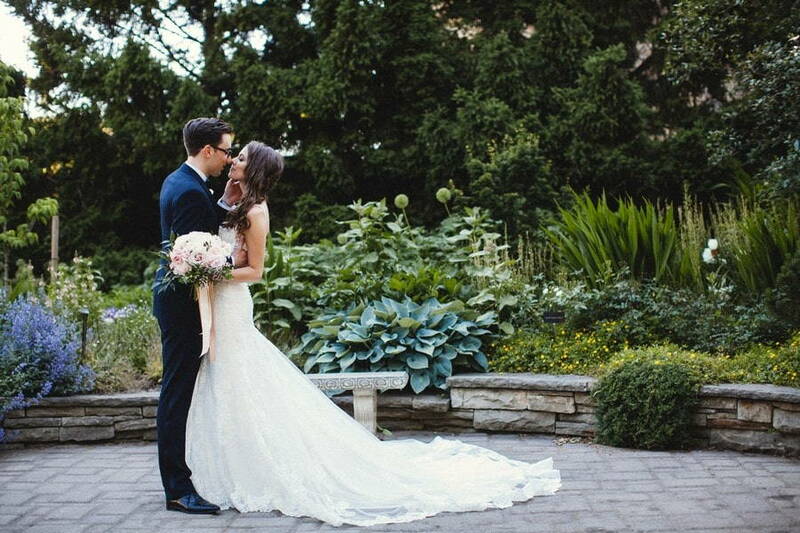 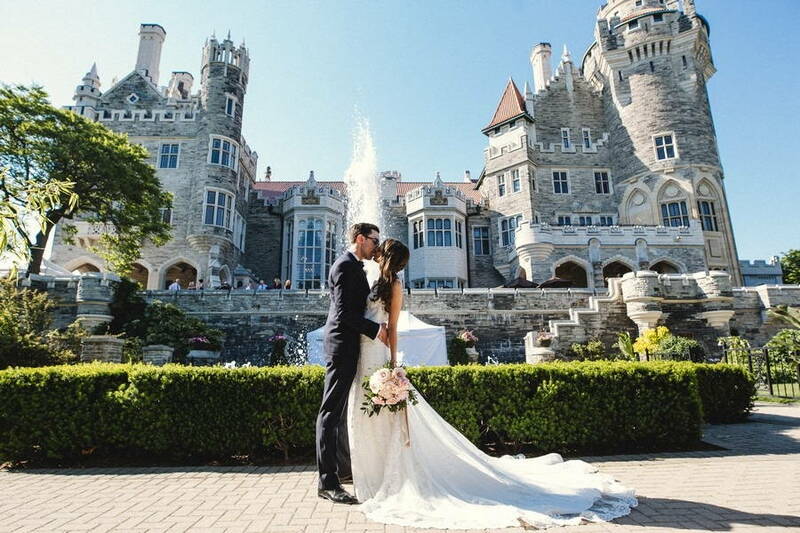 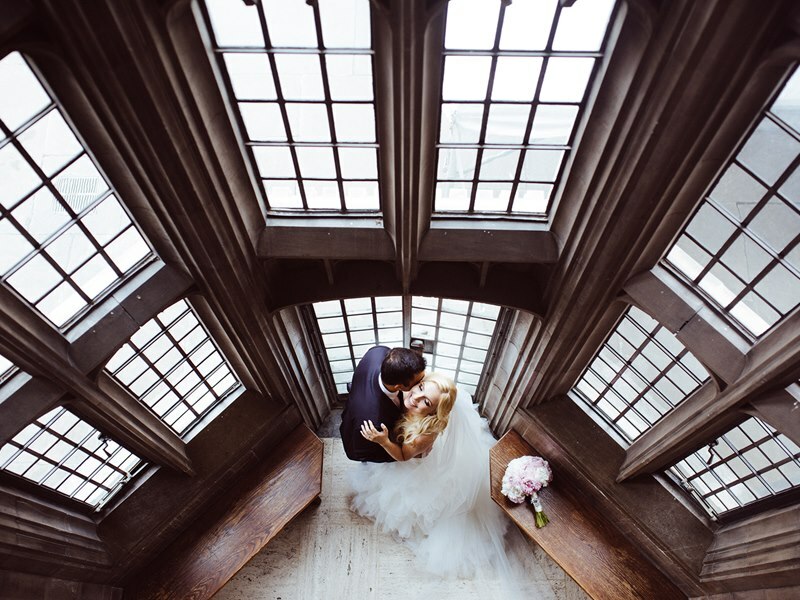 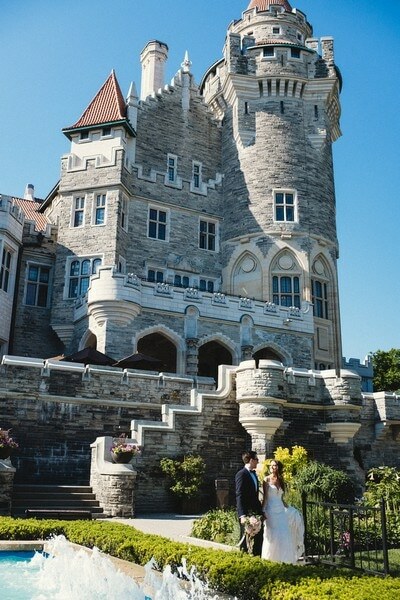 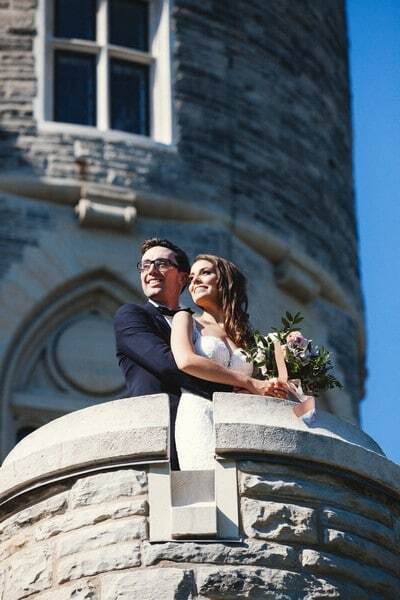 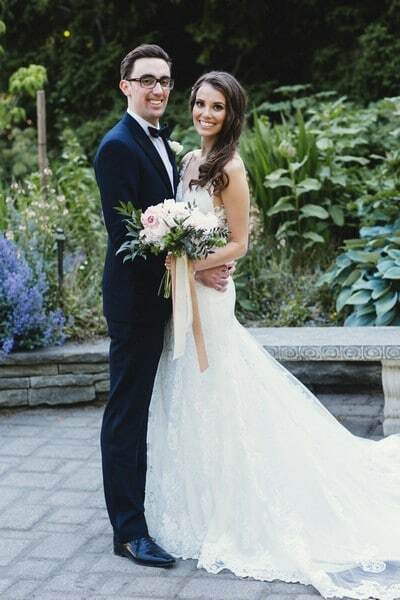 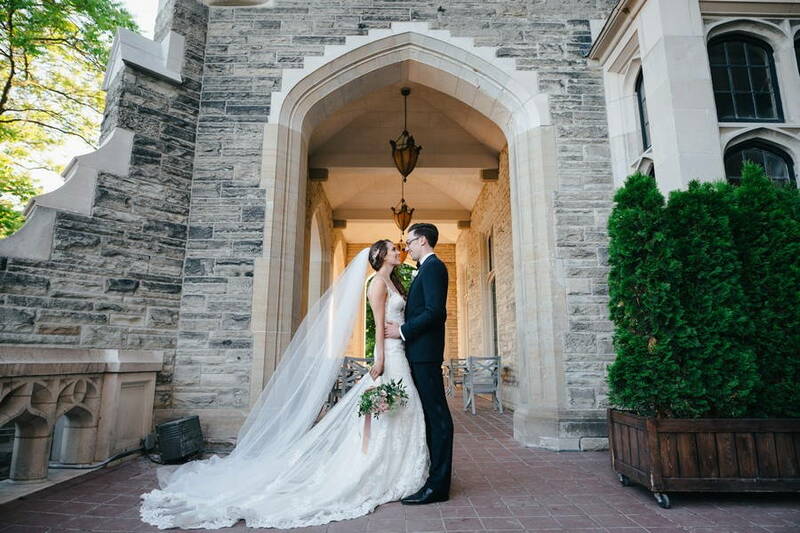 Amy and Jason’s big day was a timeless and romantic affair that fittingly took place in Toronto’s epic-ly gorgeous castle, Casa Loma. 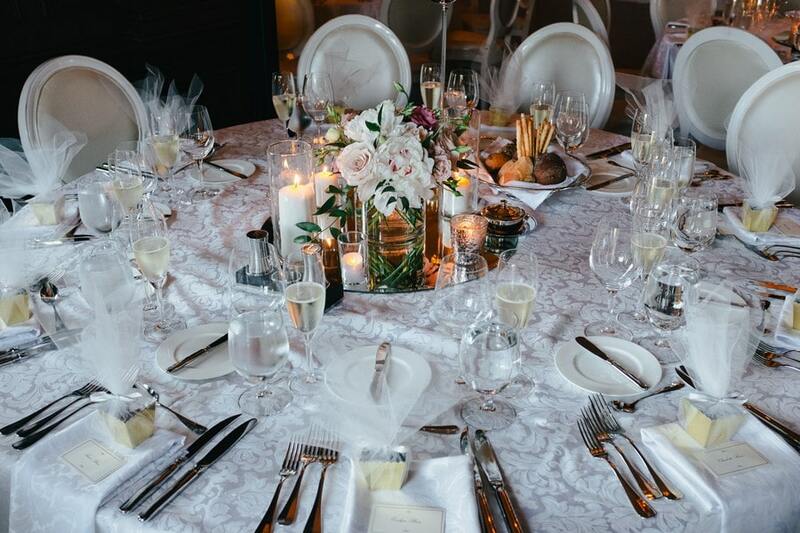 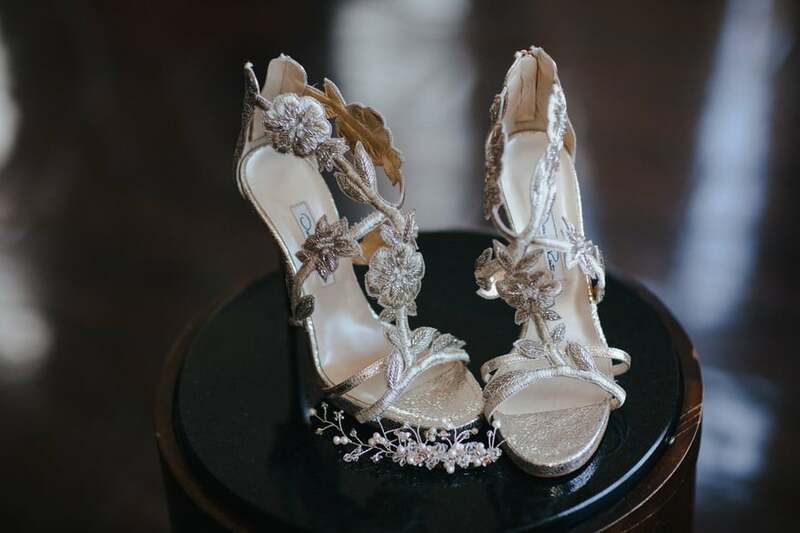 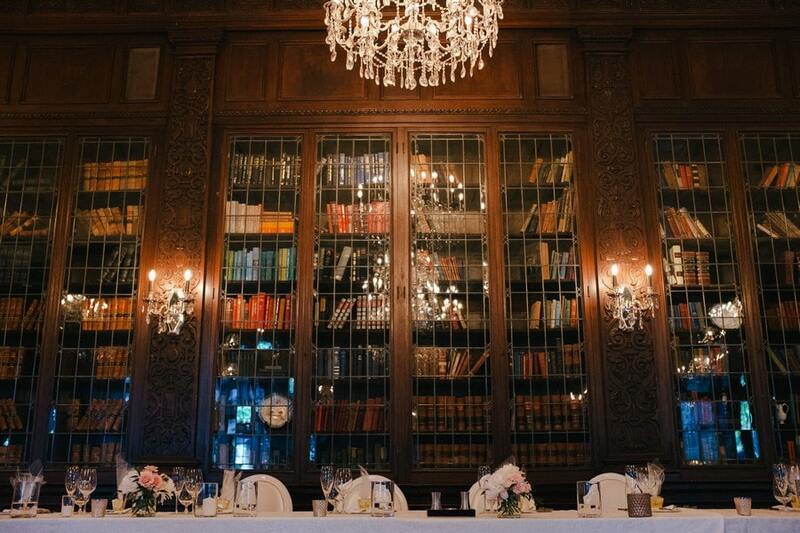 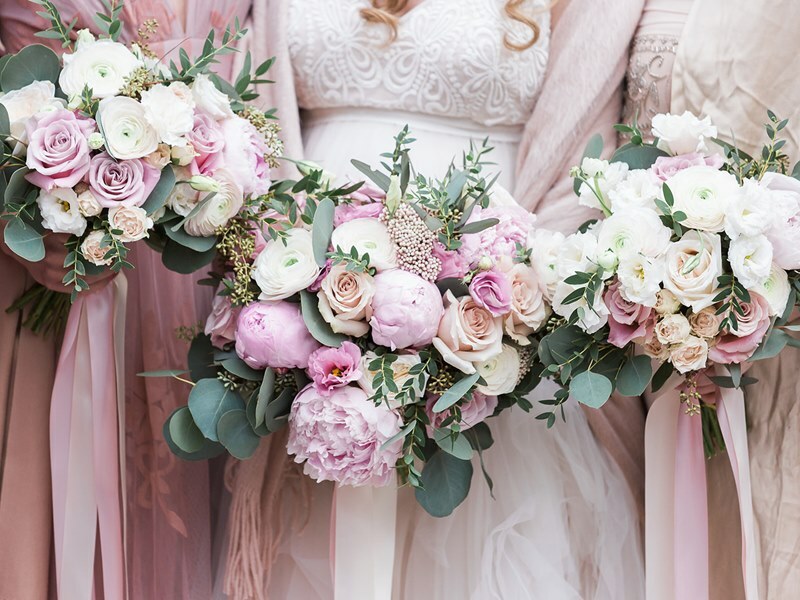 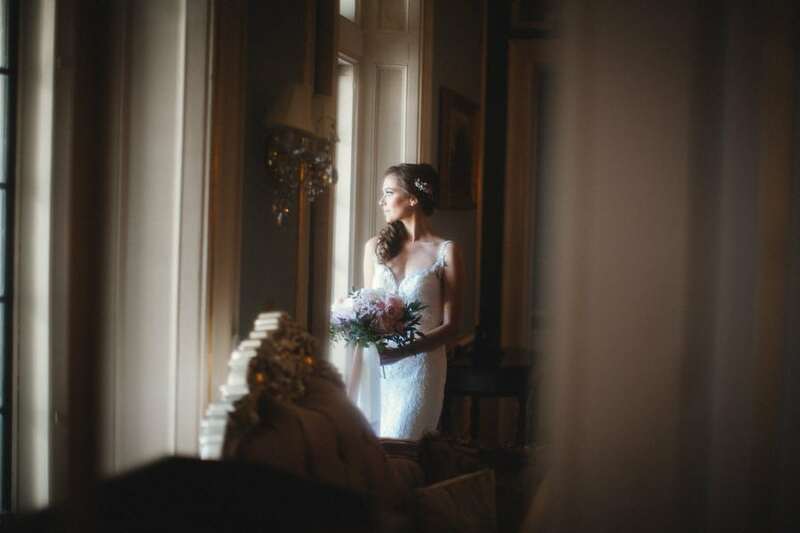 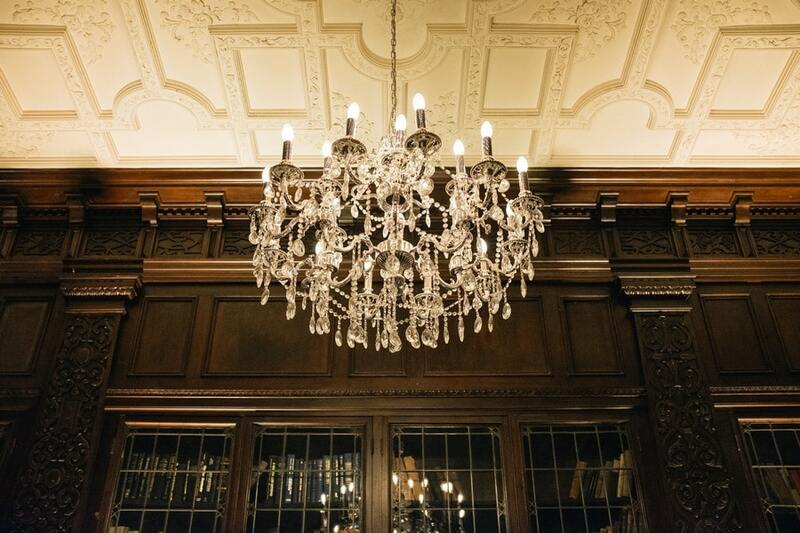 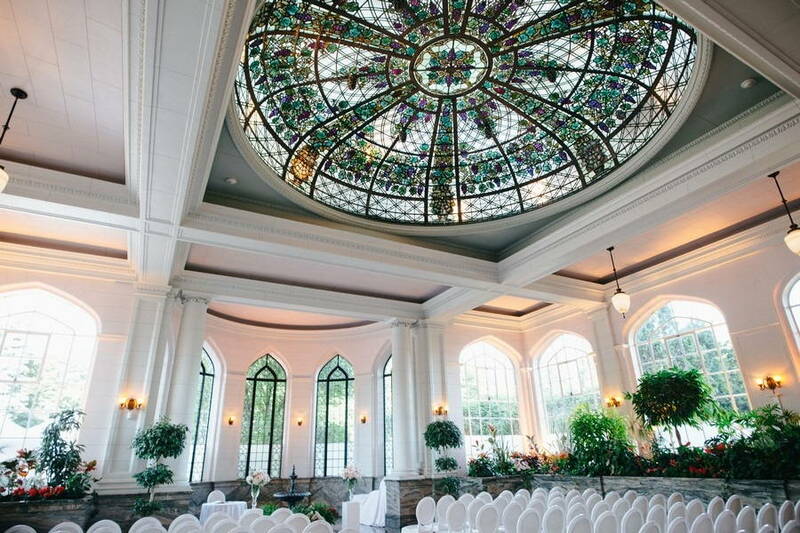 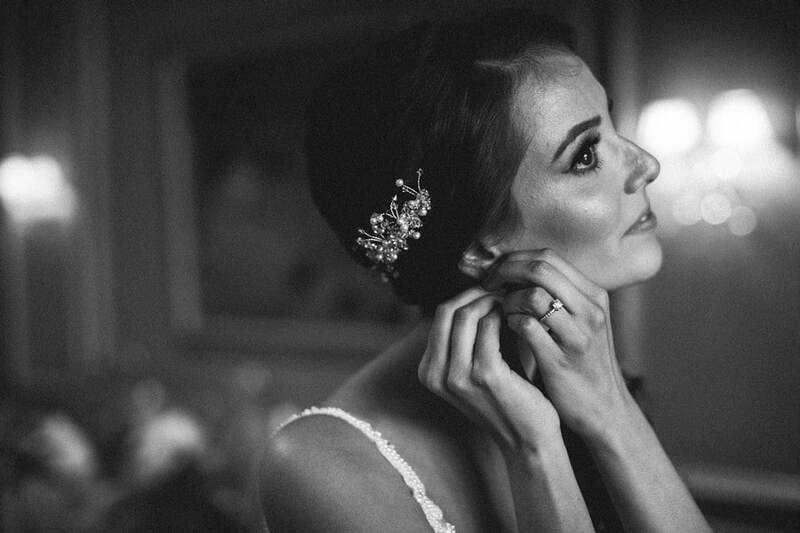 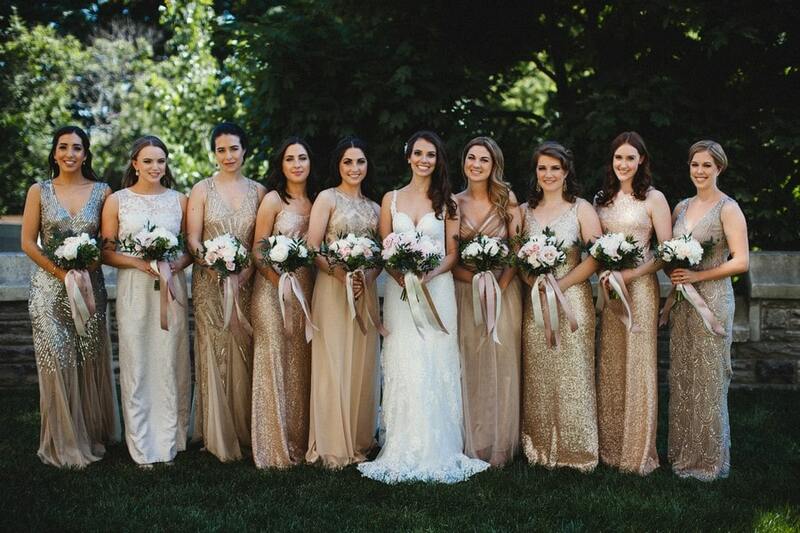 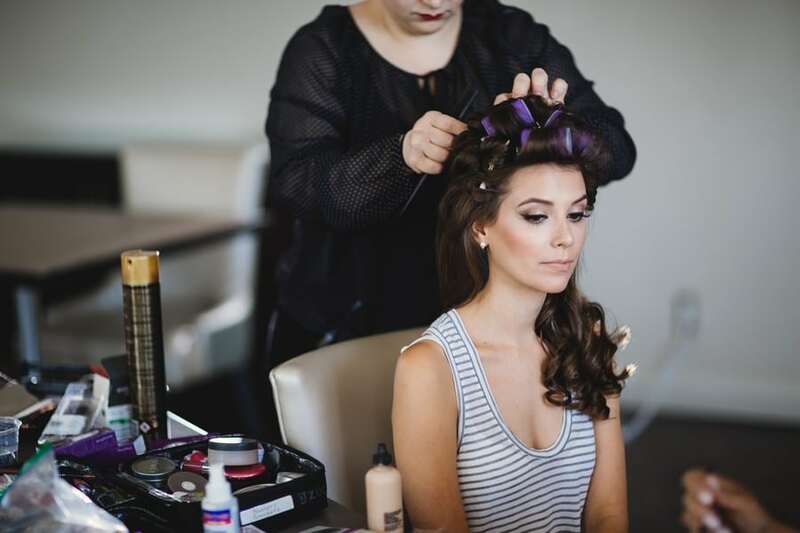 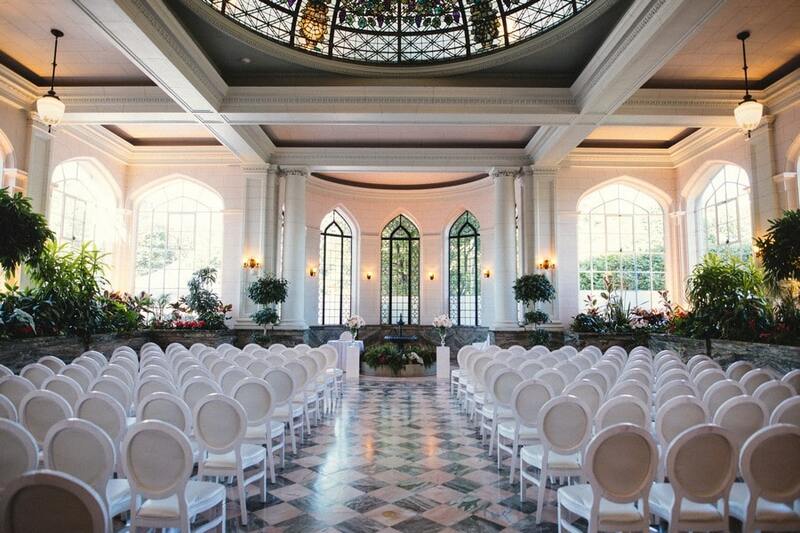 From its richly elegant surroundings to its beautiful blooms, this is a wedding not to miss. 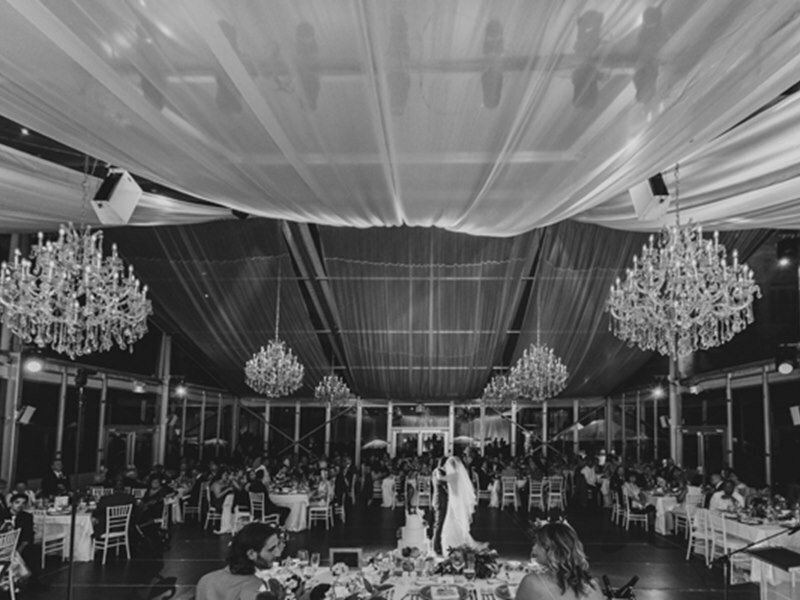 Thankfully Lucas T Photography was on hand to capture every memorable moment. 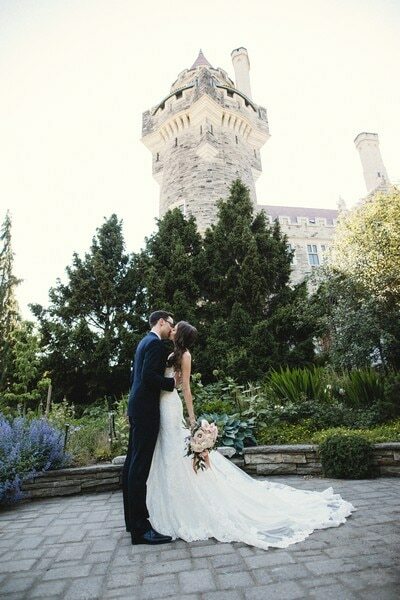 The castle’s gorgeous greenery and stunning architecture served as the perfect backdrop for the couple’s dreamy photo shoot. 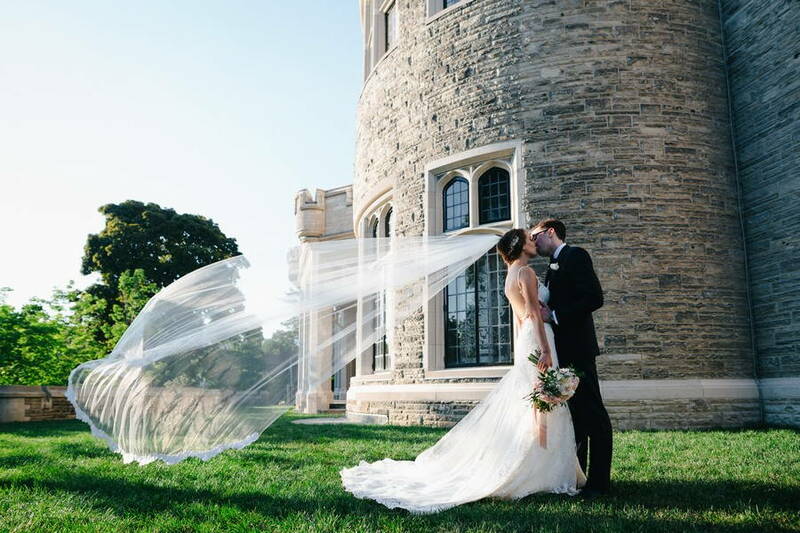 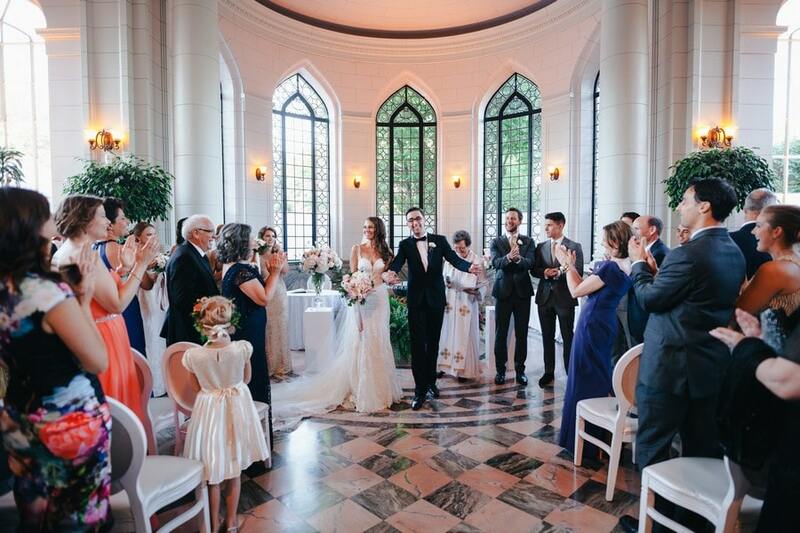 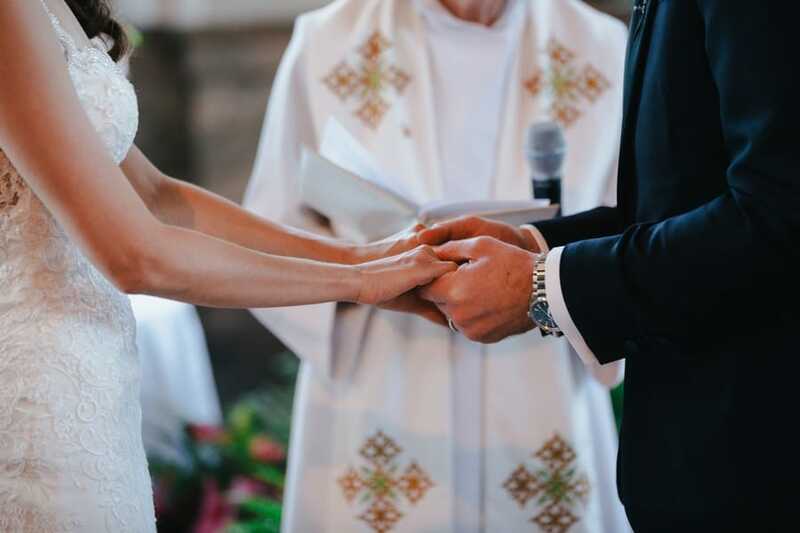 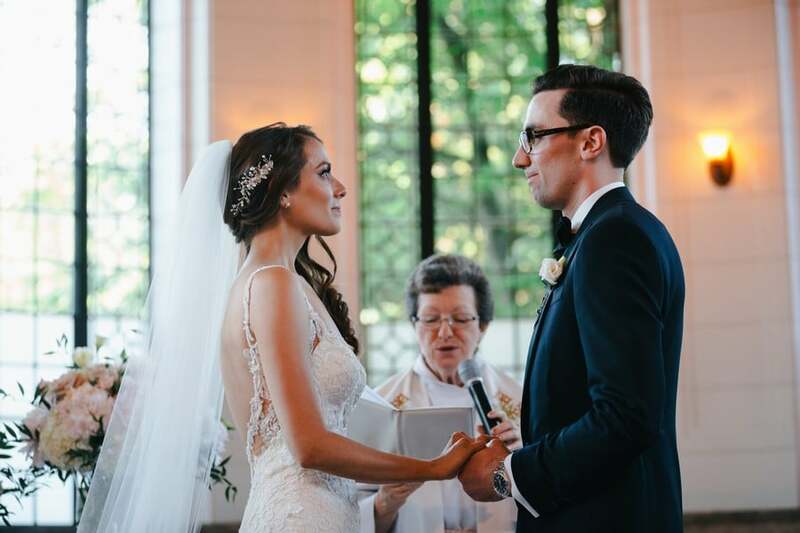 The couple’s remarkable ceremony was highlighted by the castle’s impressive vaulted ceilings, marble flooring, and scene-stealing stained glass. 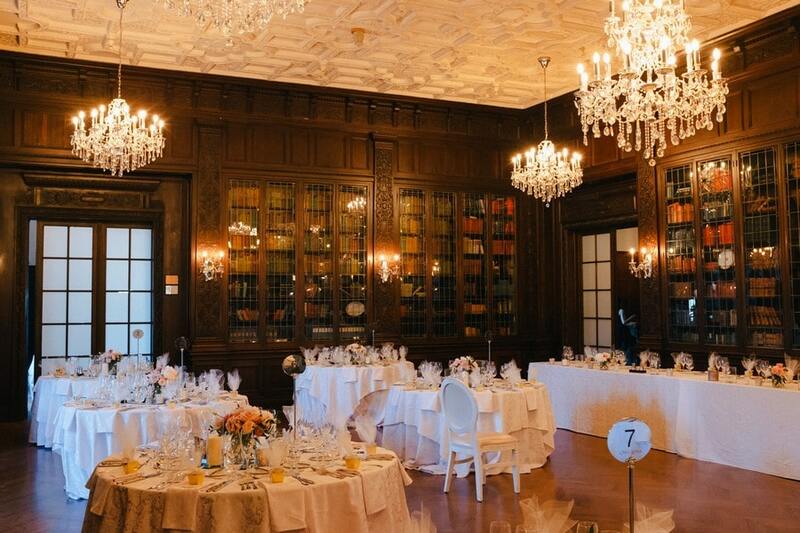 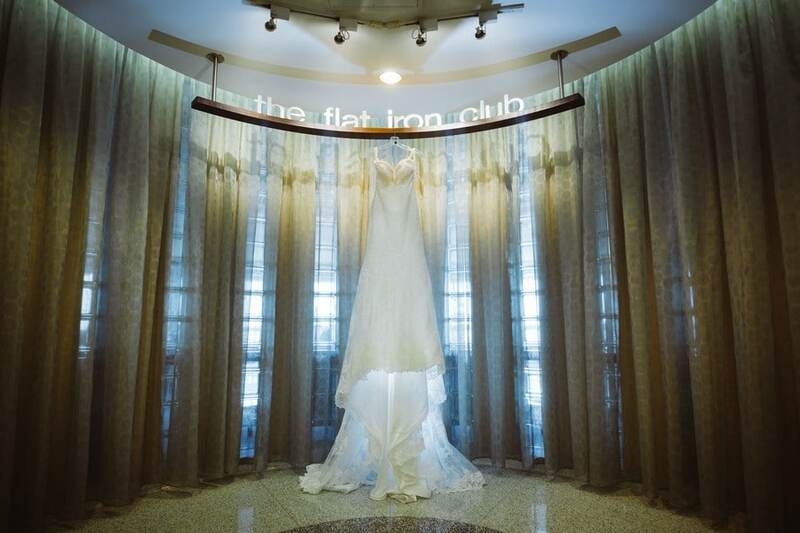 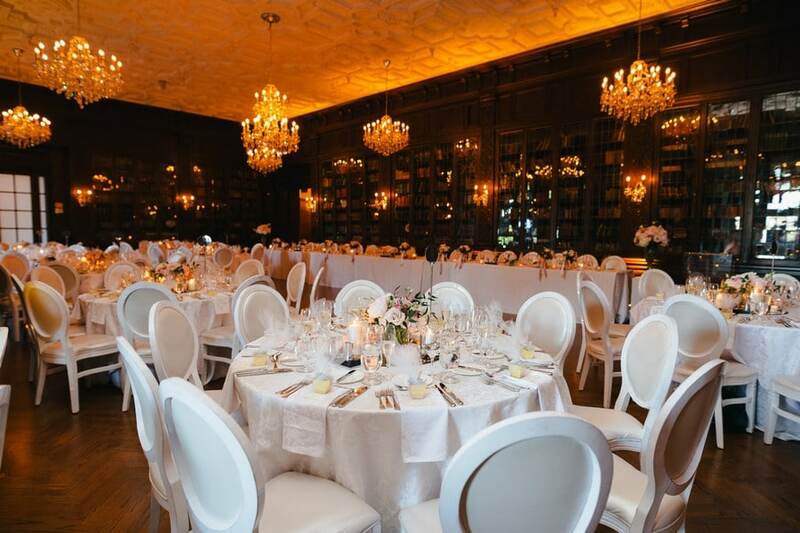 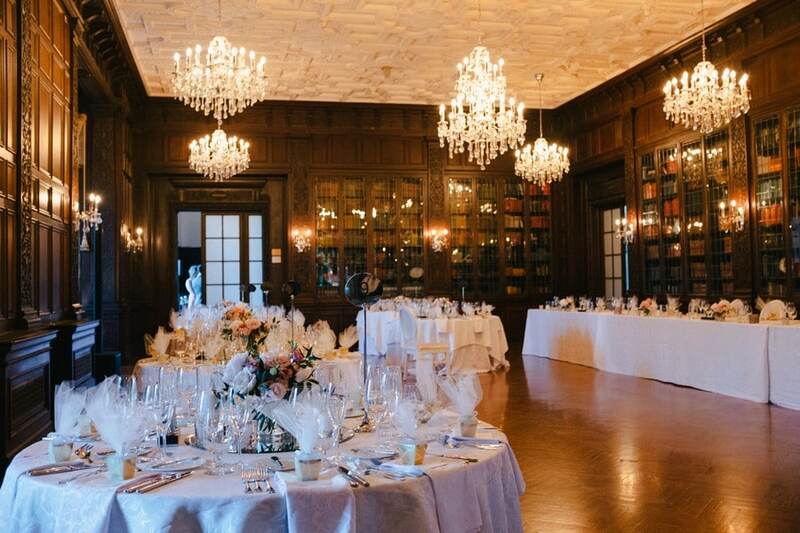 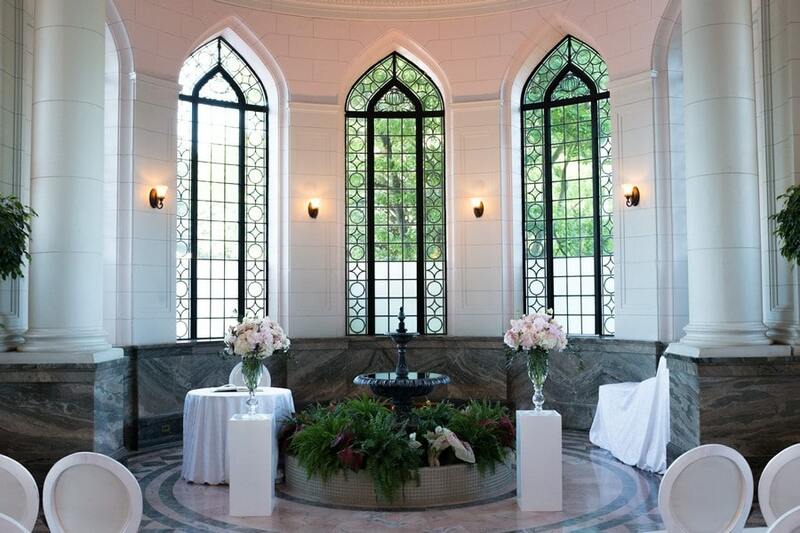 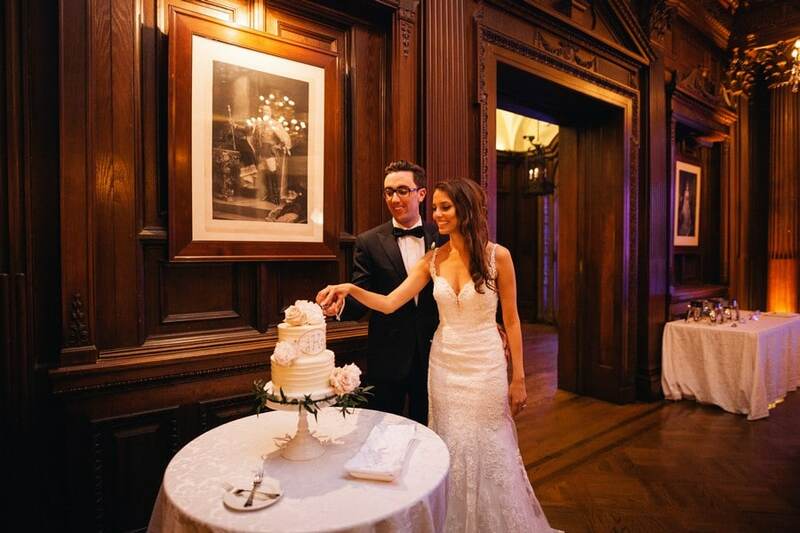 With breathtaking details and luxurious surroundings, the newlyweds’ reception was a gorgeous, romantic occasion. 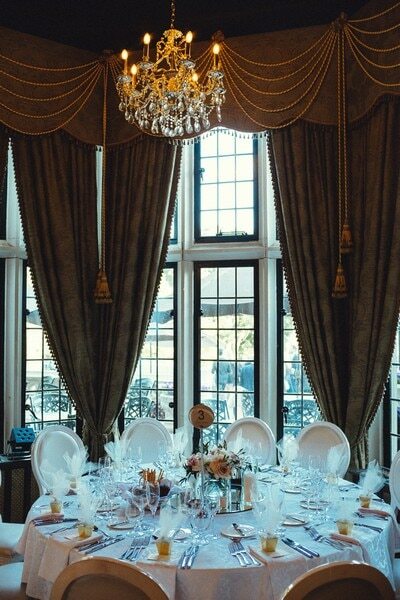 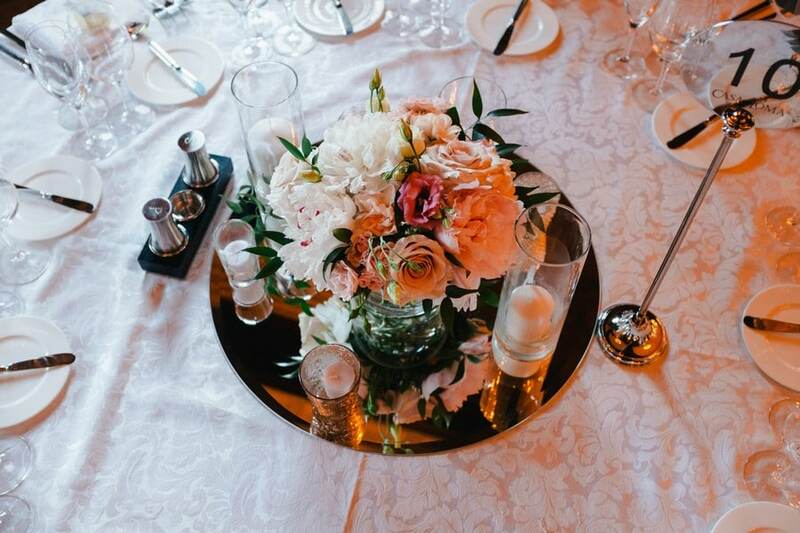 From the lavishly brilliant chandeliers to the fantastic florals from Coquette Studio Floral Design that added the perfect pop of colour to the sophisticated neutral palette, this was truly an affair to remember. 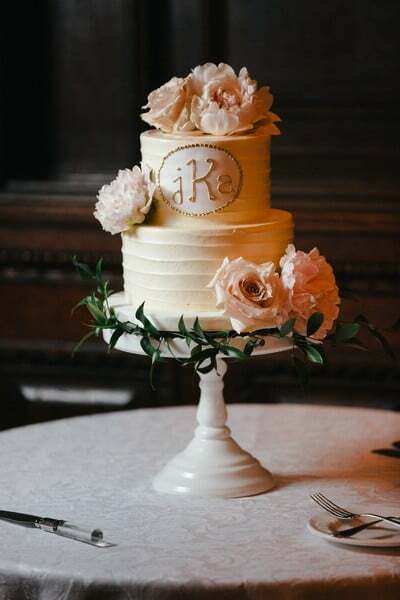 A heavenly two-tiered cake capped off the night on a deliciously sweet note.